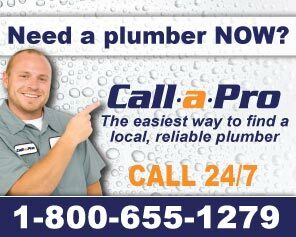 Plumbers.net is here to help with your Salt Lake City plumbing service needs. From every-day plumbing problems to major plumbing emergencies, we're here to help find a Salt Lake City plumber for your home or business. No job is too big or too small for the perfect Salt Lake City plumber. A full-service, fast-response Salt Lake City Plumber with a wide range of plumbing and sewer specialities can handle your problem or emergency. Salt Lake County UT, Tooele County UT, Tooele UT, Stansbury Park UT, Erda UT, Lake Point UT, Grantsville UT, Rush Valley UT, Stockton UT, South Jordan UT, West Jordan UT, Taylorsville UT, West Valley UT, Salt Lake City UT, Bluffdale UT, Draper UT, Herriman UT, Holladay UT, Kearns UT, Lincoln UT, Magna UT, Midvale UT, Murray UT, North Salt Lake UT, Riverton UT, Rose Park UT, SLC UT, Sandy UT, South Salt Lake UT and surrounding areas.